﻿ What Should Be Considered While Buying Black Steel Pipe? What Should Be Considered While Buying Black Steel Pipe? While you are constructing a new house, without doubts, you would pay attention to the design to make it seem to be more beautiful. But you should not lower the attention towards the quality of materials you choose to build your house. Without high quality, you would not comfort yourself even though the house is as beautiful as the heaven. The black steel pipes are the common materials that house owners choose to set the water or gas supply system and you could buy them easily from your local store or online shops. Why you should buy black steel pipes? Well, as we all know, steel is a combination of iron and carbon. Compared with the normal iron, steel could resist to rust while the iron would react with the water. Its durable performance help it to become a better alternative. Further more, steel is much stronger and so it could be used to create series of construction elements. Technically speaking, black steel pipe is a hollow tube which is made of steel. It could be used to carry water and it is also useful in construction industry to support the weight of building or workers. There are different types of steel pipes and according to your needs, you could choose the right type. At the same time, there are amounts of companies who are manufacturing steel pipes. So, it is not difficult for you to purchase these pipes. What should be taken into consideration during purchase of black steel pipe? All in all, you should inspect the qualifications of the manufacturers to find whether they have been authorized. 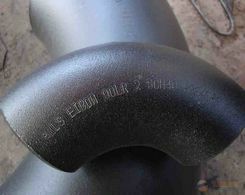 Some companies who produce the pipes with unqualified material could offer an attractive price, but in order to save money in the long running, you should better choose the company with nice reputation. Of course, if you have established a partnership with a company, you could keep cooperating with it rather than spending time to find another one. 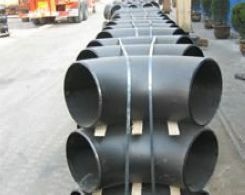 Today, you could buy black steel pipe for more purposes with the increasing of the applications. In addition to the traditional applications, such as transferred water, oil or gas, steel pipes could be used to carry slurry. Of course, the most popular use is still carrying liquid and gases. While using black steel pipes to form the heating installation, you should especially pay attention to the quality since the pipes are used to carry hot gases to warm you up in cold winter. 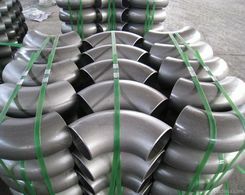 Next:How to Understand Welded Steel Pipe of Seamless?